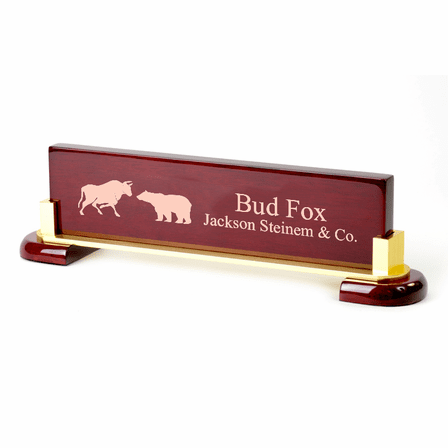 FEATURES/SPECS Let all your prospective financial servies clients know your name and job title the second they enter your office with this personalized bull & bear name bar. 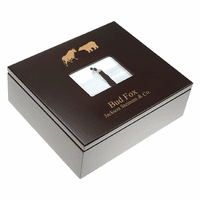 The name bar is made of solid piano finish walnut wood. 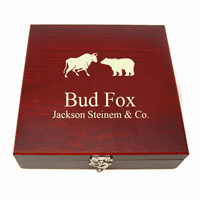 It comes with the bull & bear emblem, the symbol of the finance industry, laser engraved on it. 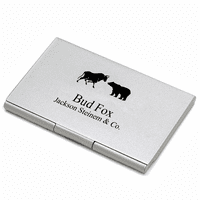 You'll add your own personalization to the right of this emblem free of charge. 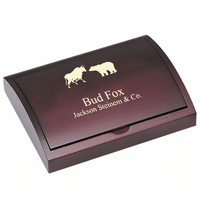 The name bar comes cradled in a solid brass holder, complete with felt lined feet to protect your desktop. 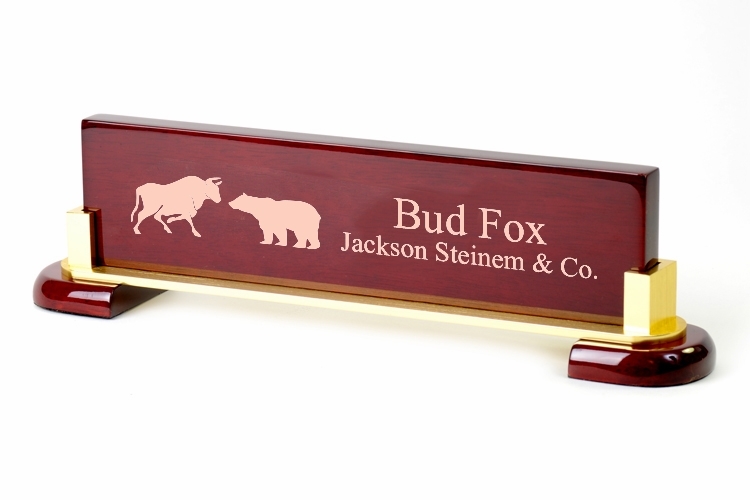 This wall street themed name bar is an ideal gift for newly promoted traders or stock brokers or a hard to shop for boss.